“We firmly reject any comparisons between the policies of the democratic Federal Republic of Germany and the Nazi times,” government spokesman Steffen Seibert told a news conference on Monday, as quoted by Reuters. “Such comparisons are always absurd and out of place because they lead to only to one thing: a trivialization of crimes against humanity,” he added. “Let us talk open and critically with another, but let’s not lose sight of the special importance of our close German-Turkish relations. Let’s stay calm and level-headed,” Seibert continued. Seibert also said that Turkish politicians are still allowed to speak in Germany, provided they are open about their intentions and don’t bring Turkish conflicts into the country. He went on to state that the European Union should conduct an investigation to make sure that funds paid to Turkey to pave the way for EU accession are achieving their intended purpose. The umbrage came in reaction to statements Turkish President Recep Tayyip Erdogan made on Sunday, in which he accused Germany of carrying out “fascist actions” reminiscent of those committed in Nazi times. “Germany, you have no relation whatsoever to democracy and you should know that your current actions are no different to those of the Nazi period,” Erdogan said at an Istanbul rally. “If I want to come to Germany, I will, and if you don’t let me in through your doors, if you don’t let me speak, then I will make the world rise to its feet,” he said at a separate event. Responding to Erdogan’s statements, German Justice Minister and Social Democrat (SPD) Heiko Maas told ARD that his comments were “absurd, disgraceful and outlandish” and aimed at provoking a reaction from Berlin. “We have to take care that we don’t let ourselves be provoked,” he said. 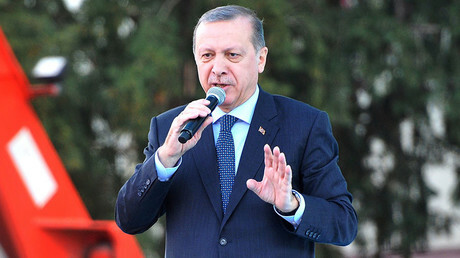 Erdogan made his comments after two German towns cancelled political rallies aimed at increasing support for Turkey’s president among Germany’s 1.5 million Turkish citizens. Erdogan is pushing for a “yes” vote in an upcoming constitutional referendum that would give him more power. Berlin says the towns canceled the rallies due to security concerns, with Chancellor Angela Merkel insisting that federal authorities were not involved. 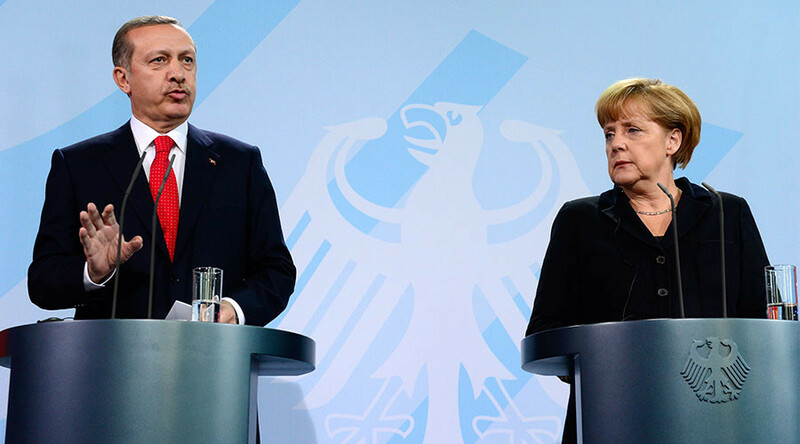 The latest feud comes at a time when Germany and Turkey’s relationship is already tense, following years of decline. Last week, Berlin slammed Turkey for arresting of Deniz Yucel, a journalist for the German newspaper Die Welt who had been reporting on the hacking of the Turkish energy minister’s email account. He is currently awaiting trial on charges of spreading terrorist propaganda and inciting hatred. 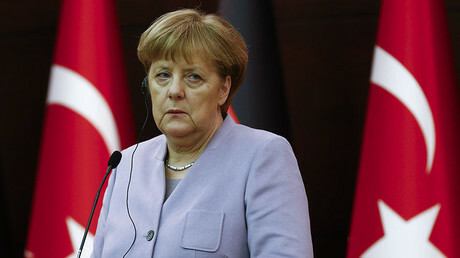 Berlin said his detainment could seriously damage German-Turkish relations, with Chancellor Angela Merkel calling for his release. “Independent journalism must be able to exist; journalists must be able to do their job,” Merkel said. Berlin has also accused Ankara of overreacting to a failed military coup last July, which triggered a widespread crackdown on supporters of Fethullah Gulen, the US-based cleric whom the Turkish government accuses of masterminding the plot. Meanwhile, Turkey says Germany is not addressing Ankara’s concerns about Kurdish terrorism or delivering on promises to speed up its entry into the EU.